Serena Williams could feature at the Rogers Cup after being handed a wild card for next month’s event in Montreal. Having returned from the birth of her first child, Williams has made four tournament appearances in 2018 — at Indian Wells and Miami before a run to the last 16 of the French Open, which preceded a sensational campaign at Wimbledon. 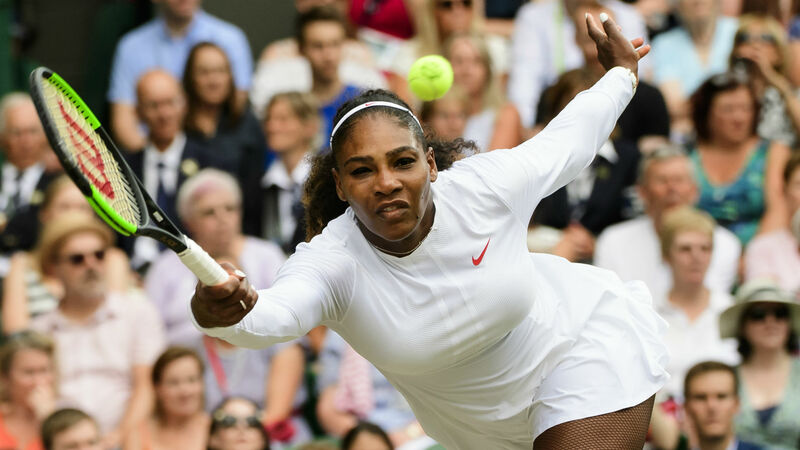 Williams just fell short of a 24th Grand Slam title, losing out to Angelique Kerber in the final at the All England Club, and the 36-year-old is looking to step up her preparation for the U.S. Open with a number of hard-court outings. Having already entered tournaments in San Jose and Cincinnati, either side of the Rogers Cup, it remains to be seen whether Williams will feature at all three as she continues to feel her way back after a lengthy absence. “We are, of course, very pleased to be able to announce the participation of Serena Williams as we have awarded her a wild card,” said tournament director Eugene Lapierre of the three-time Rogers Cup champion. “After announcing our player list a few weeks ago, we were only missing Serena to complete our dream tournament. Serena has impressed everyone with the speed at which she was able to return to a high level of play.